I recently joined a machine knitting course at Central Saint Martins. Every Saturday for 5 weeks, I would sit in front of a knitting machine and be taught all the marvellous things we can do with knit. Before you start thinking that knitting is for grannies or machine knitting is cheating, have a look at the amazing things that can be produced, all the different type of materials that could be incorporated into the knit and the creation of almost anything. As you probably know, I recently taught myself how to use a knitting machine and knitted myself a sweater for christmas so when this course came up, I seized it with both of my hands. I was desperate to learn more. And I did! Our amazing tutor, Berni, encouraged us to use different medium and actively pushed us to create more and more. With the sky as the limit, I went and imagine what medium I could use. And strangely while having my shower, I thought of using moss. I love the different colour of moss and also how for a distance, it just looks like a very inviting soft carpet that grows on almost anything! 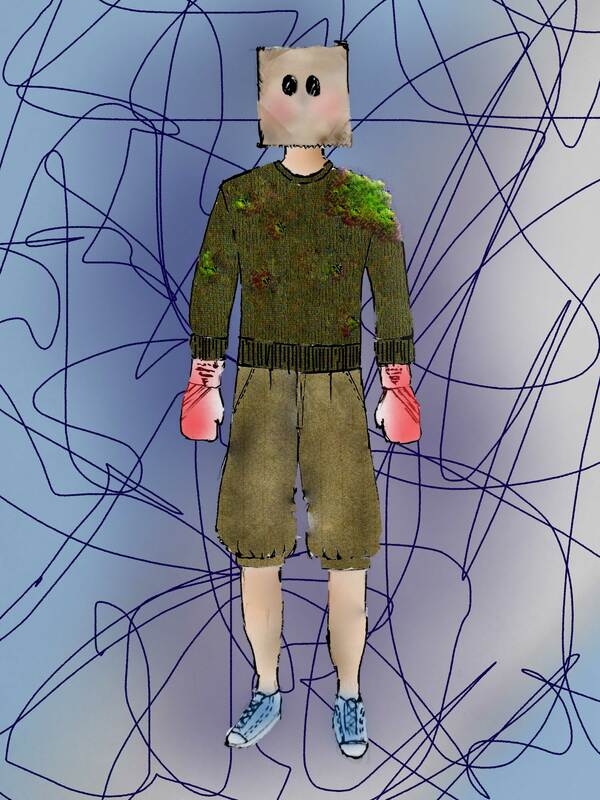 As I progressed with the inspiration, I was set on the idea to have a sweater that looks like it has stuff growing on it. Kind of like a living sweater. 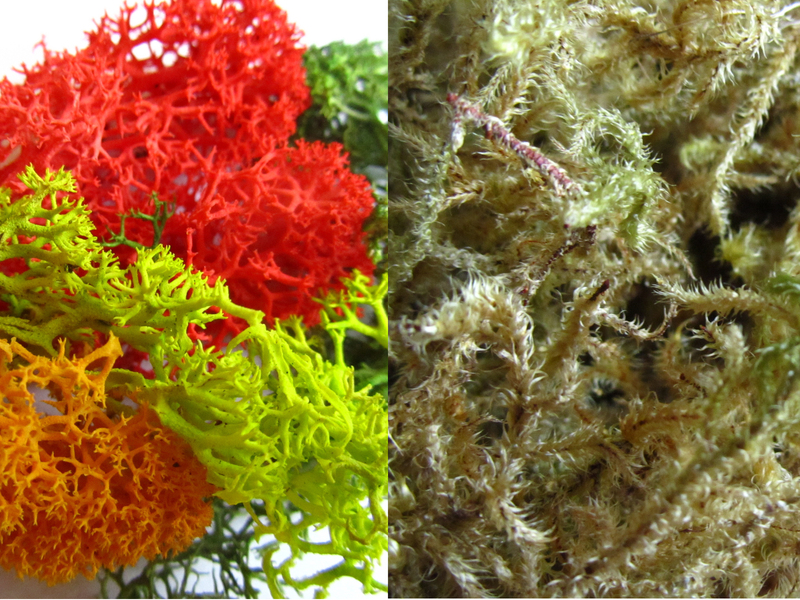 I got online and went to ebay and bought Norwegian moss (mostly used by Architects to create model trees) on the left and Sphagnum Moss (mostly used in floral hanging baskets or as reptile bedding) on the right. Like excited school children, I fidgeted furiously while waiting for Saturday to arrive. 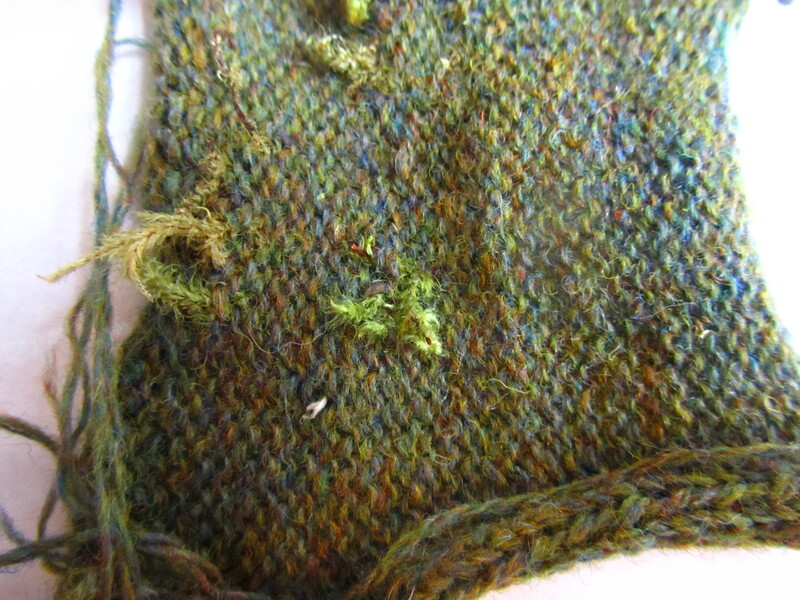 When it did, I sat down and knitted a few samples incorporating the moss. Although the sample was exactly what I wanted, the problem I had was the moss itself. It kept crumbling and would not attach properly to the knit. 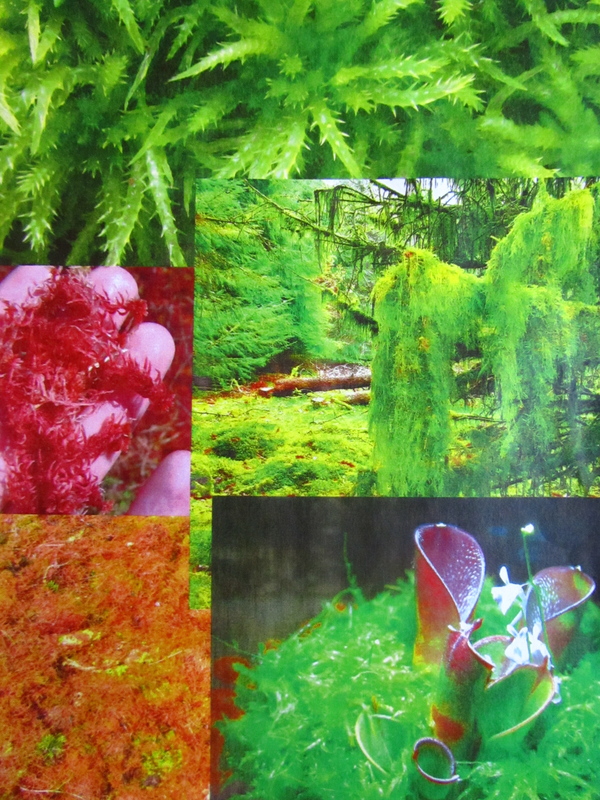 But the idea was to create something moss like and if the moss would not work, I called in plan B….SCOURING PAD! The stuff you use to wash your dishes with. I am going to try this out this Saturday and hopefully it will work. Ultimately, the idea is to create something like my illustration below. But the reality is to have something that will not crumble everytime I move. Regardless, my main objective is to finish knitting a sweater so I can move on to my next phase in knitting. Structures.